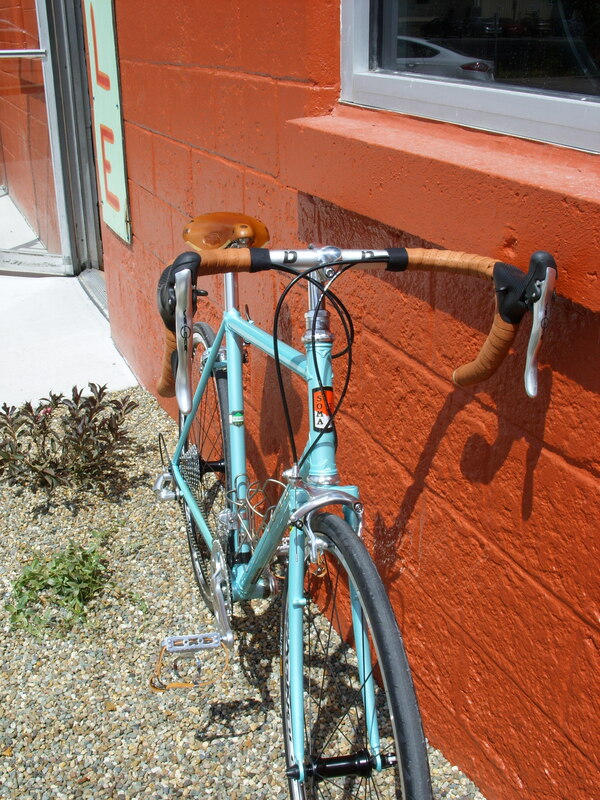 Spring sprang, here is what’s sprouting in the shop lately. 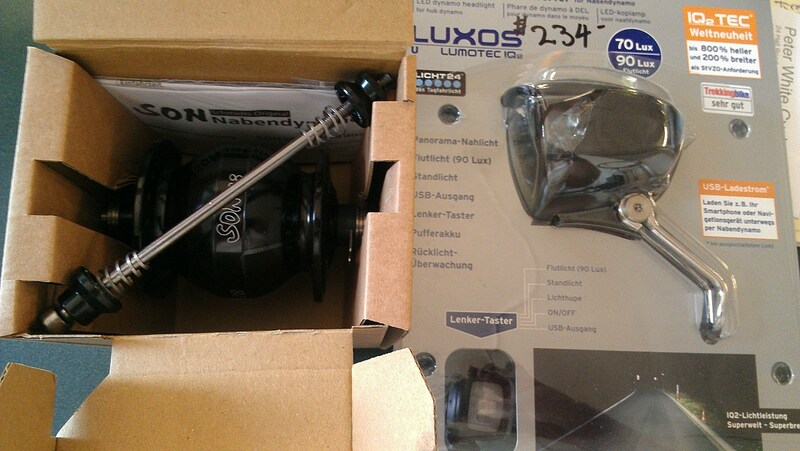 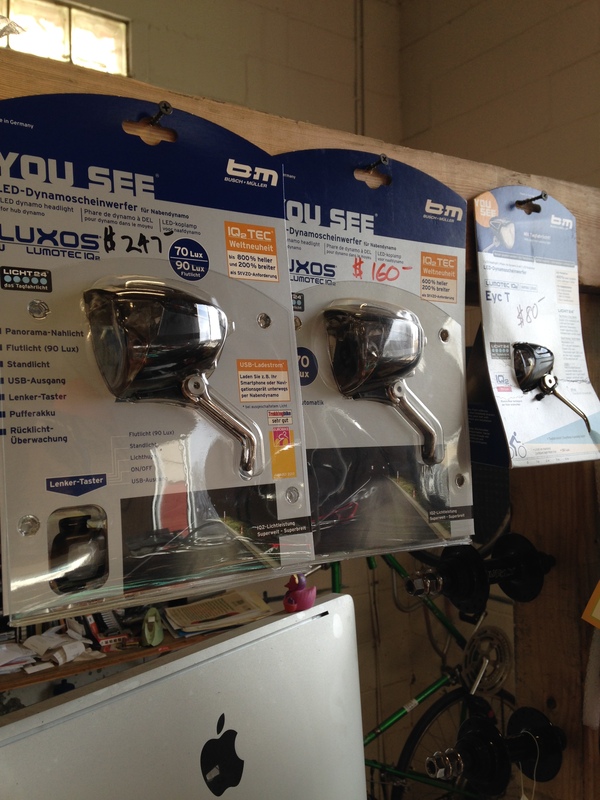 We are well stocked with generator wheel hubs and lights, including these 3 awesome Busch & Muller models. 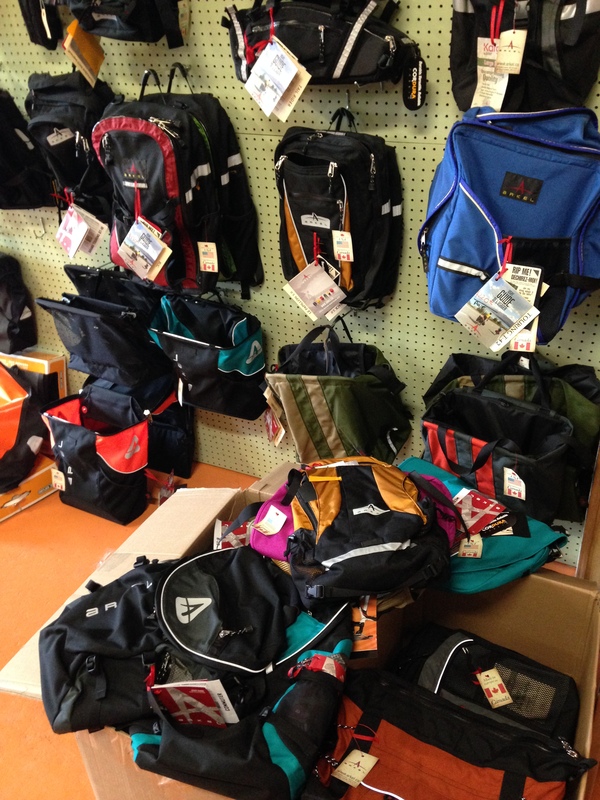 Also just got our spring Arkel order whether you are looking for touring or commuting bags we have a whole bunch in stock. 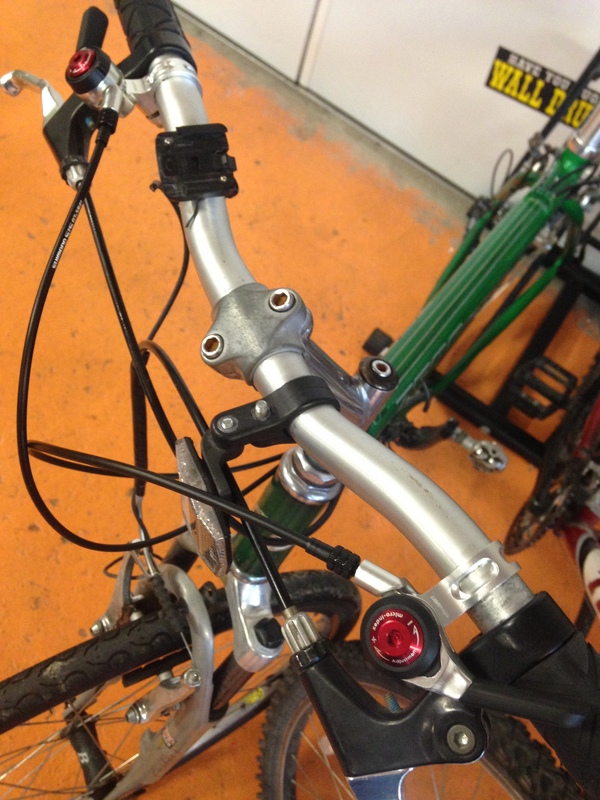 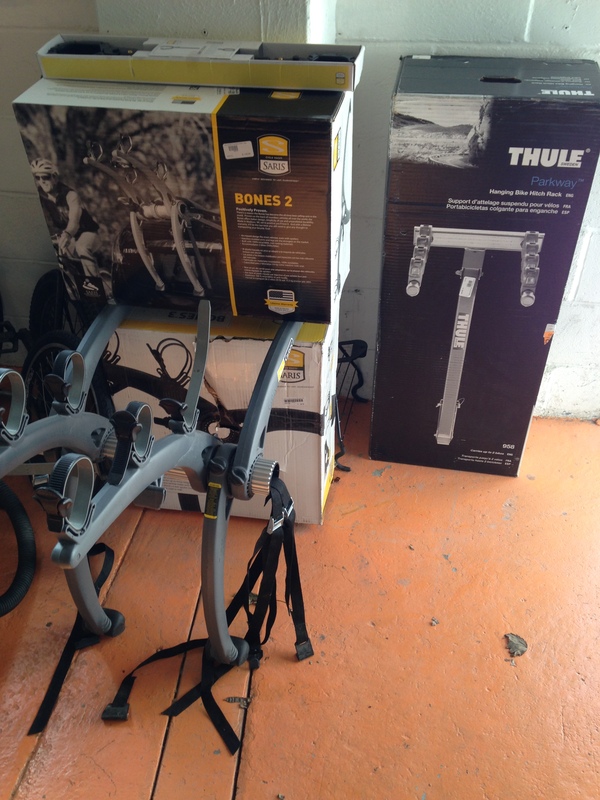 We also added our first hitch mount car rack if you are into taking bikes for a drive? 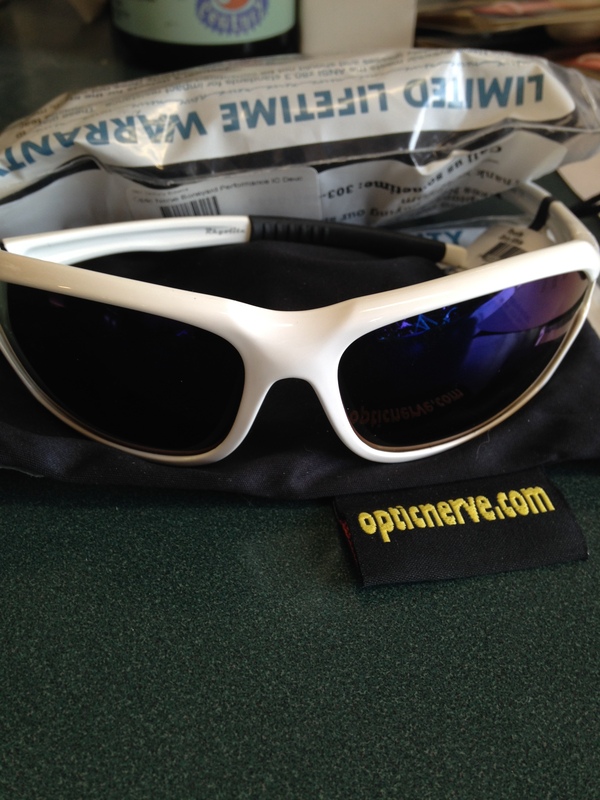 Sunglasses from Optic Nerve, we got a couple pairs for you to check out. 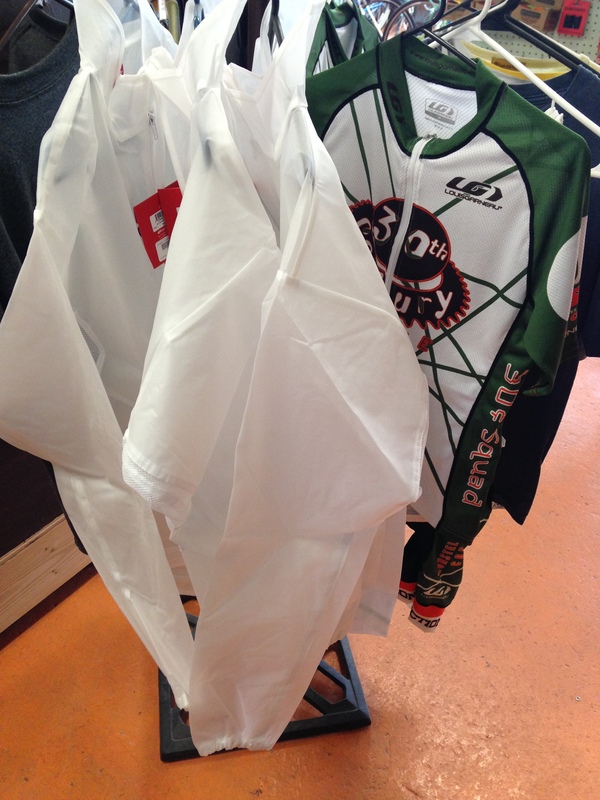 And our clothing selection continues to grow, shop jerseys and shorts, now we have some rain wear in, plus a whole lotta socks. 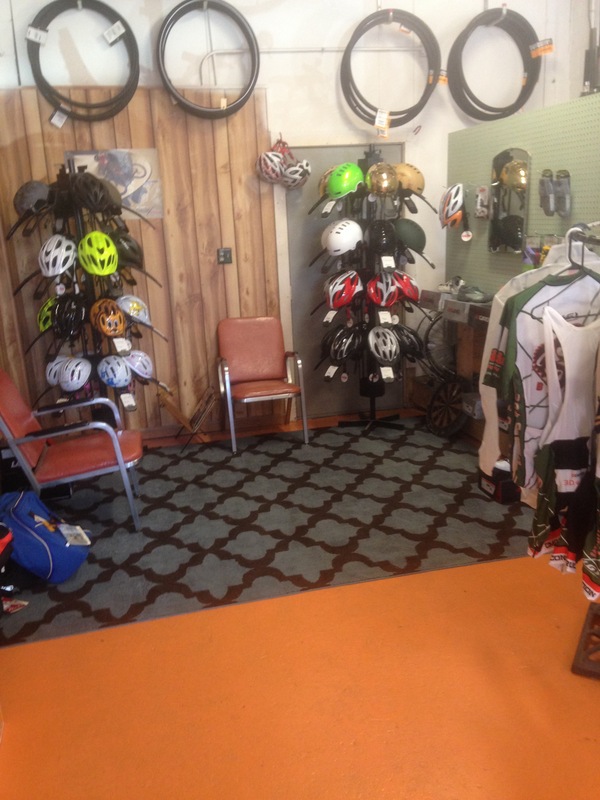 Also lots of new helmets, and of course those Detroit Bikes A-Type, and we have lots of used bikes right now, plus a bunch of winter stuff on sale that won’t be of any use at all once it is summer, but might help once or twice more this spring, so come by and see what’s new! 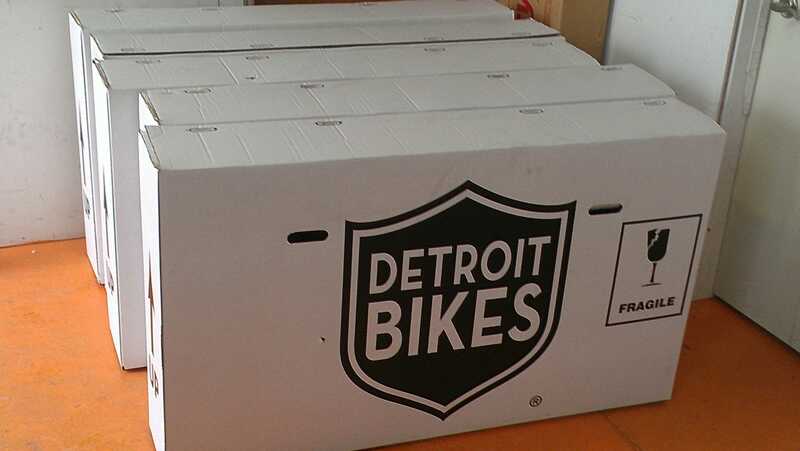 We got Detroit Bikes! 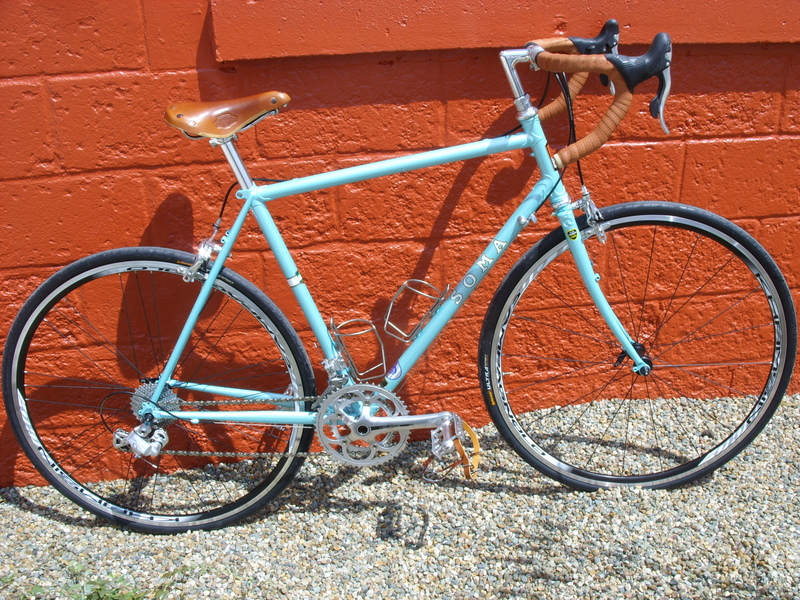 Aside from being a nice get around town bike at a nice price these bikes are also made in Detroit, MI, USA. 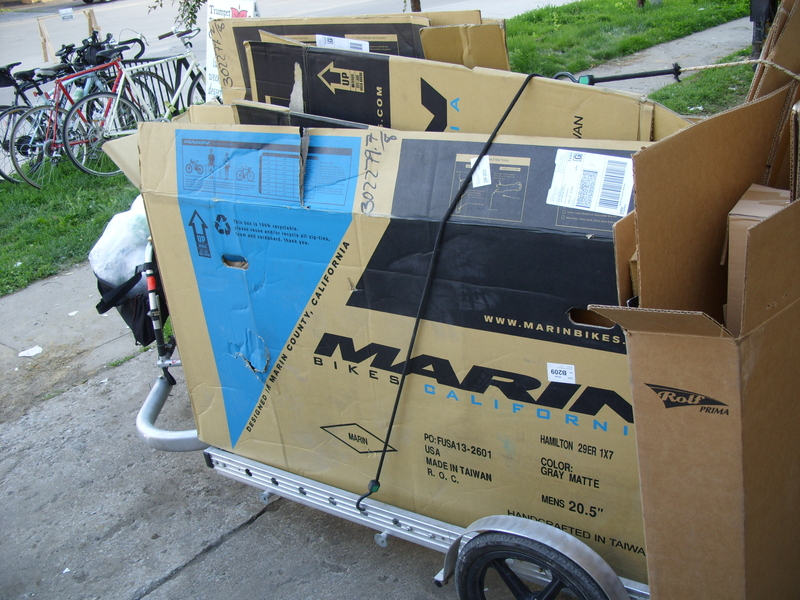 They came in boxes, white boxes, and it must be the box that is fragile, because it isn’t the bike. 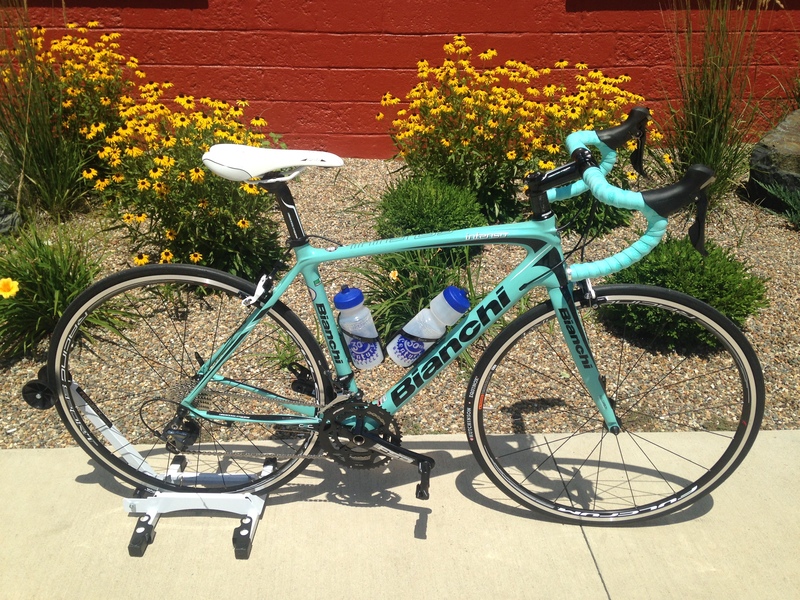 Our first build, built. 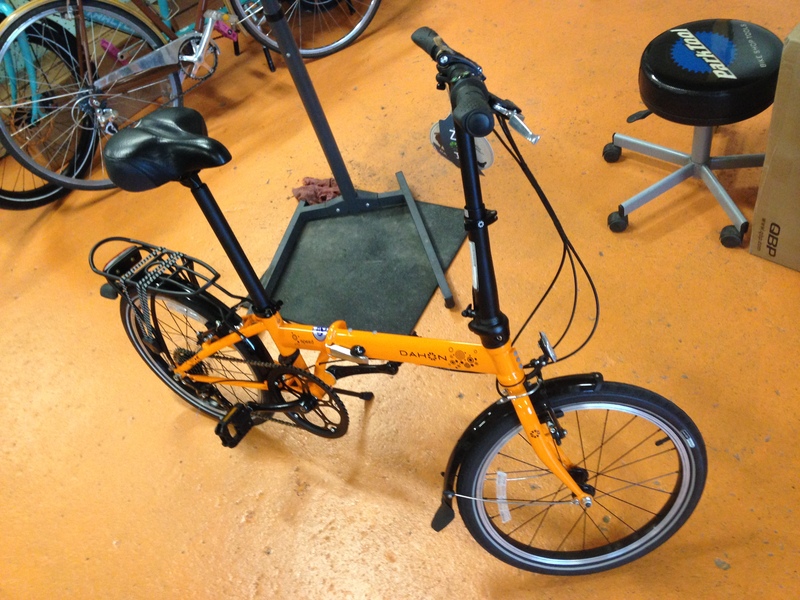 The Detroit Bike is the A-Type and it comes in one color and one size. 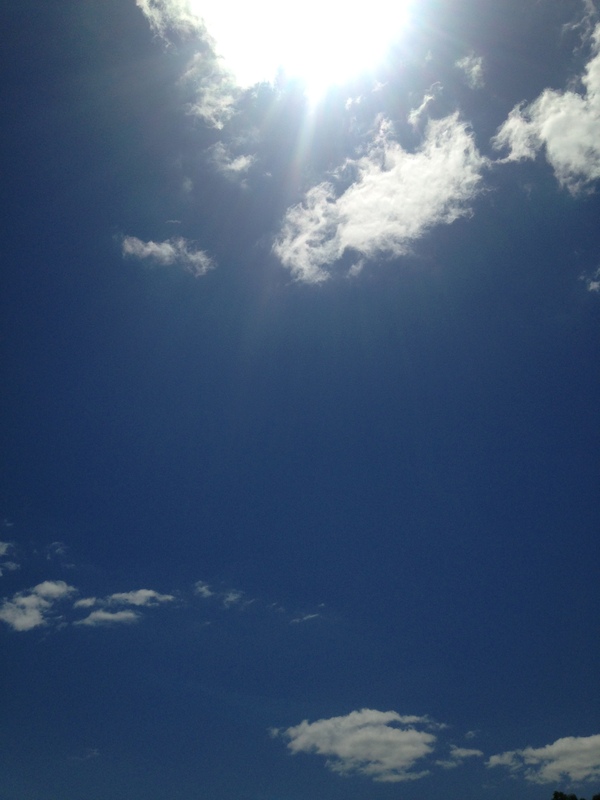 What you see there is what you get. 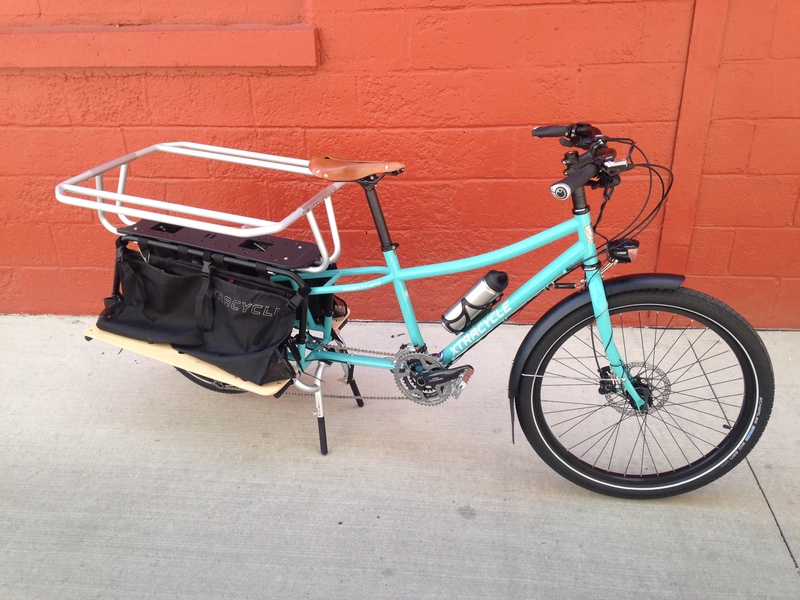 This is a super smooth and smart city bike. 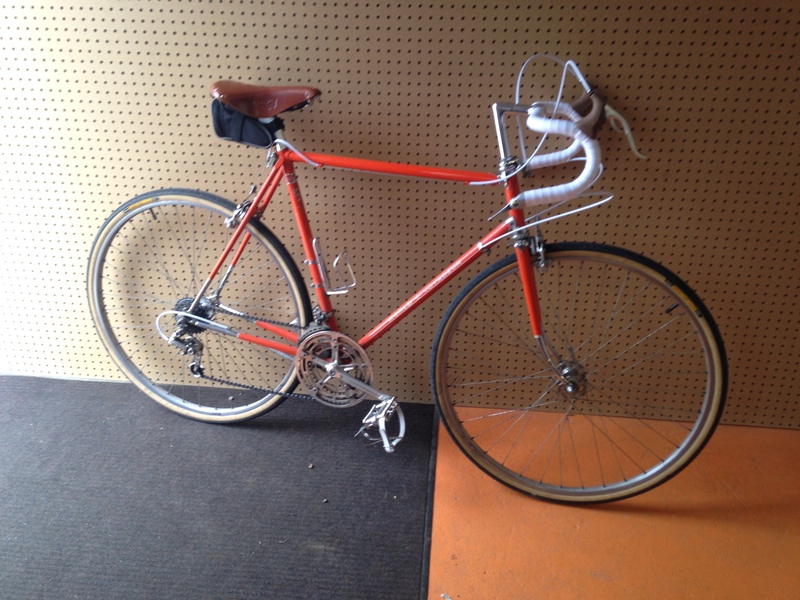 Steel frame, bolt on wheels, internal 3 speed hub, chainguard, fender and rack. 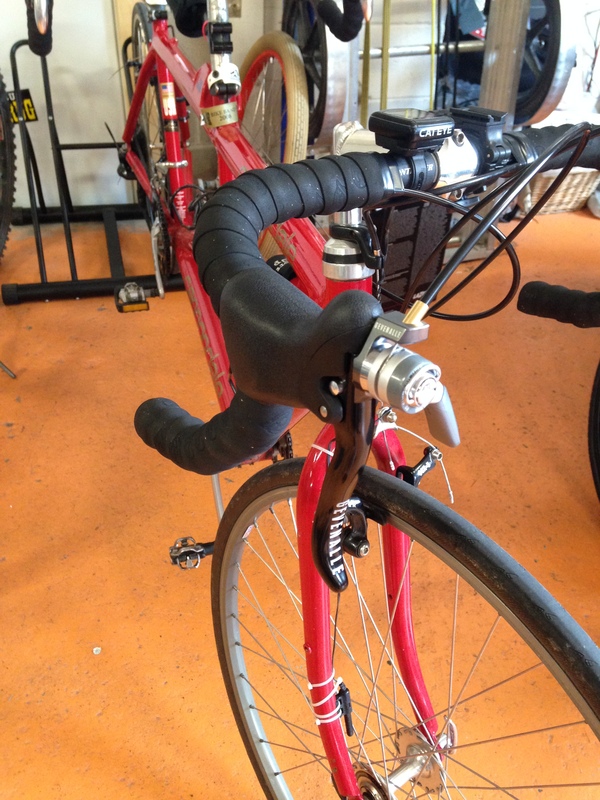 Reflector on the fender, and a nicely done cut out graphic on the rack. 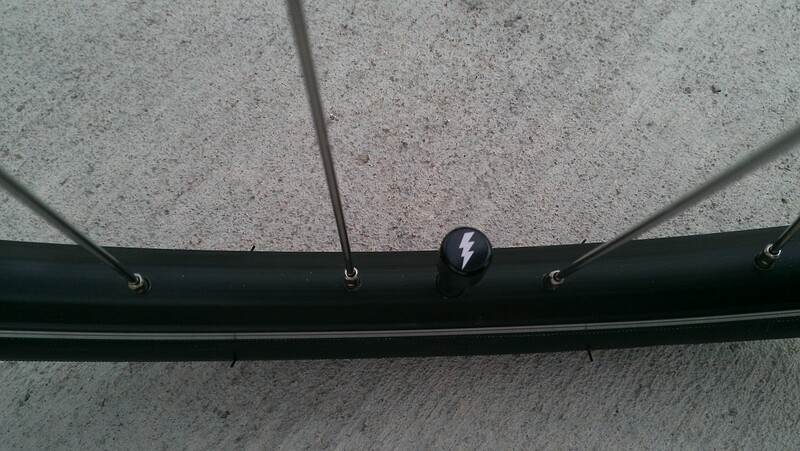 If that still is not enough for your A-Type bike vision check out the valve caps! 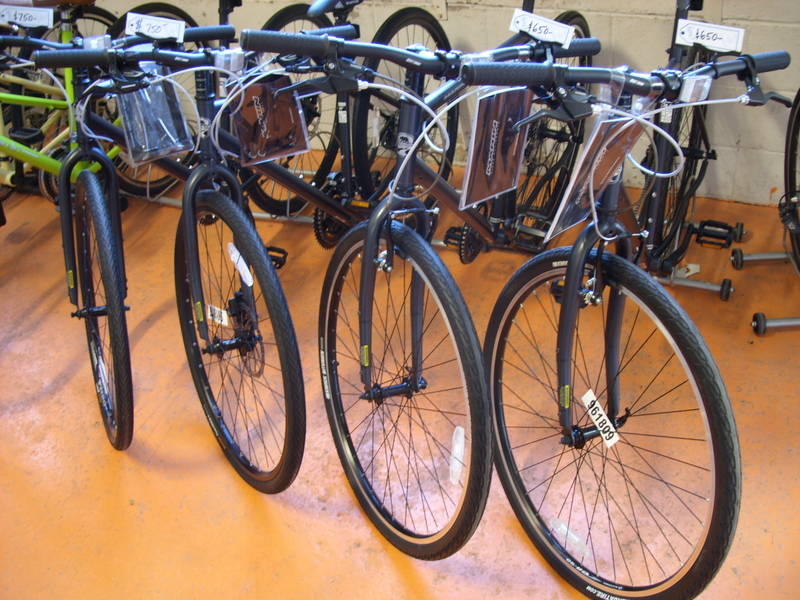 These bikes even come with a real non-generic (yet black and white) illustrated owner’s manual. 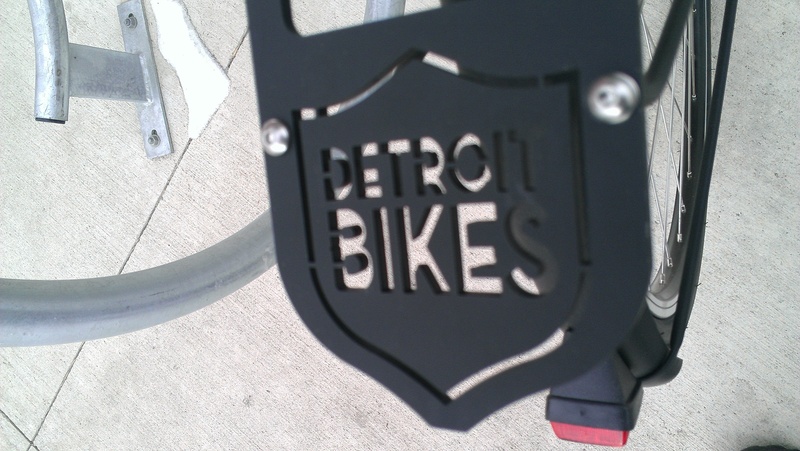 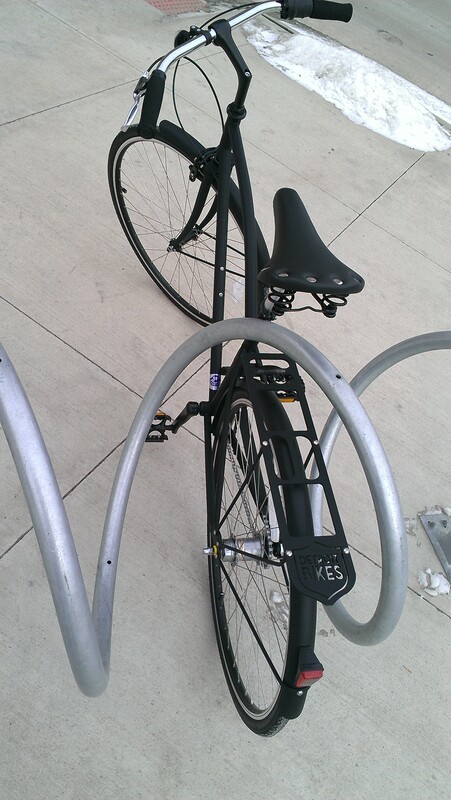 With the attention to detail it seems Detroit Bikes has maybe some Type A personality folks that designed the Type-A? 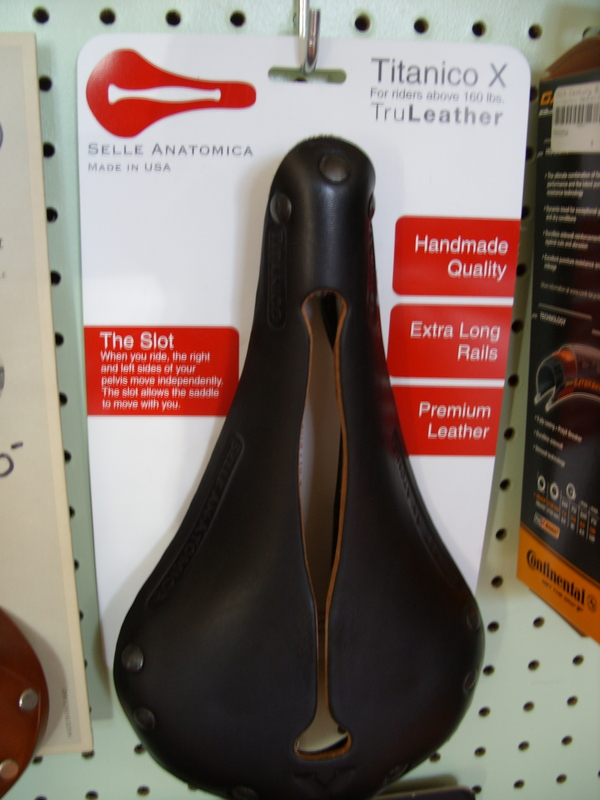 Well, we are excited to have them in stock and have special introductory pricing also so come on in and have a look! 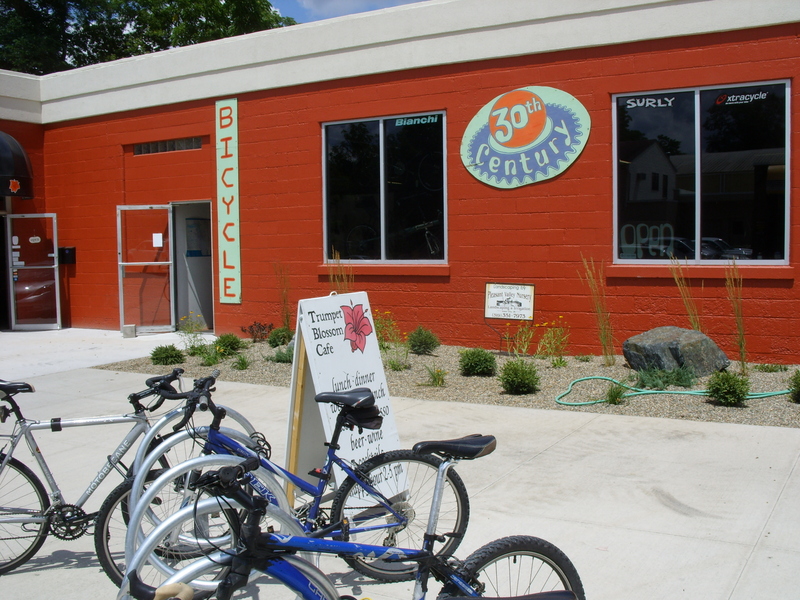 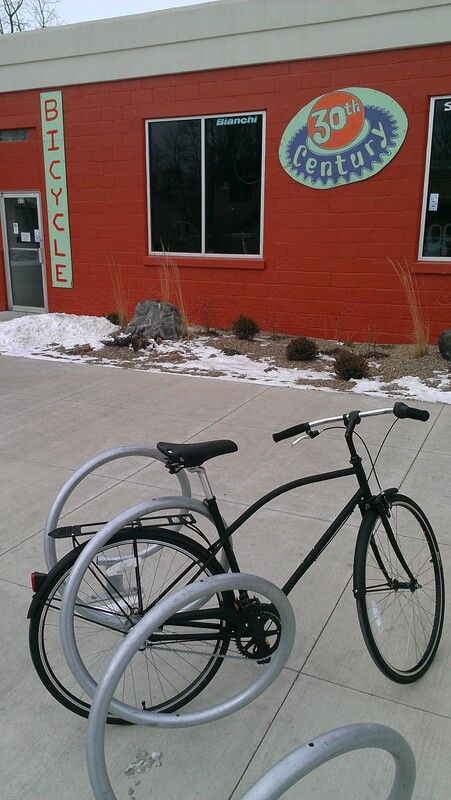 We have as many used bikes ready to go right now as we probably will until next fall, so if you are looking for a commuter, mountain bike, kids bike, tandem or road bike check out the page and see if there is something there for you. 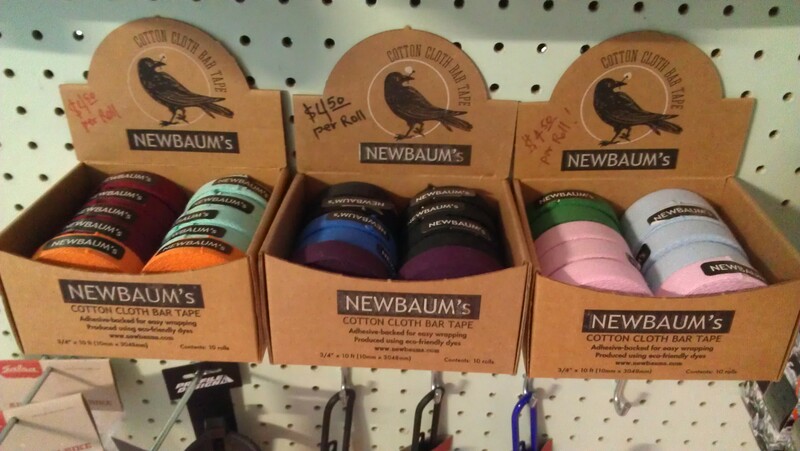 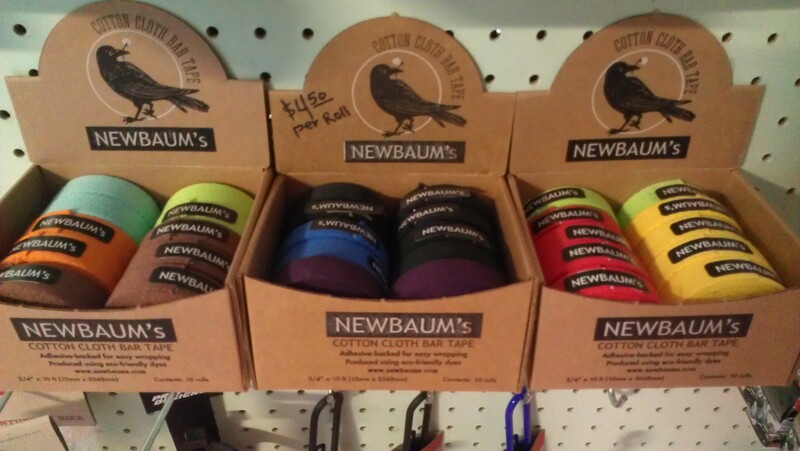 We just bulked up the Newbaum’s made in the USA bar tape. 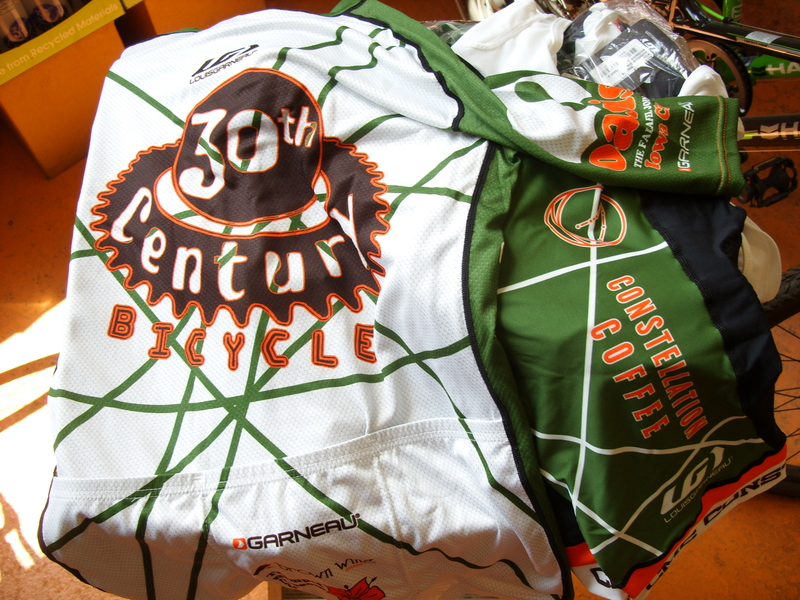 So many colors it took 2 photos to fit them all in. 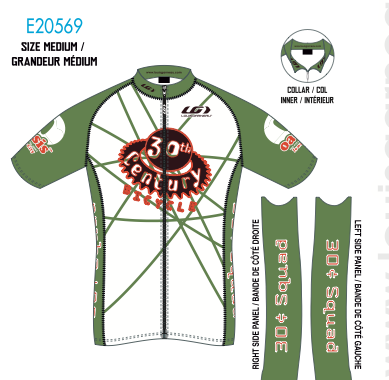 A new shop jersey and shorts order is almost ready and will be going into production soon. 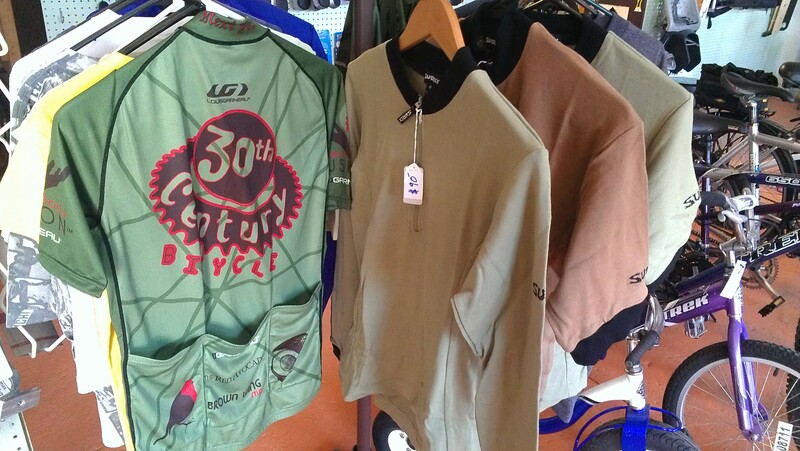 We still have a few of the old design, and Surly wool jerseys in stock as well, at great prices. 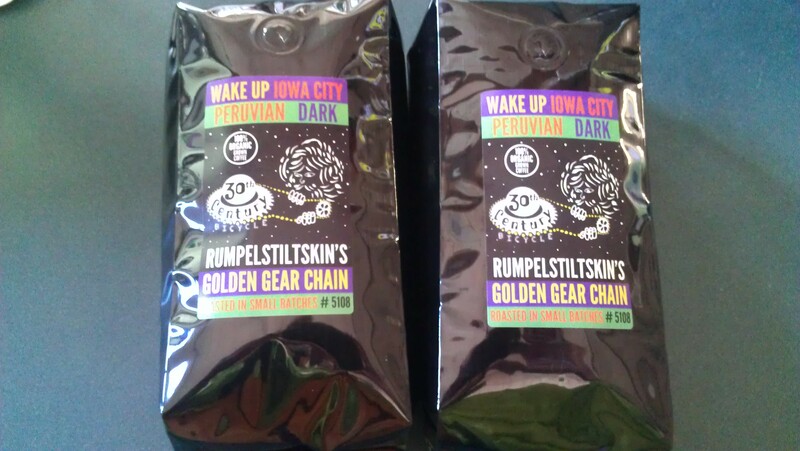 Wake Up Iowa City’s newest locally roasted offering, 3oth Century Bicycle Golden Gear Chain is right here on the counter waiting for you as well. 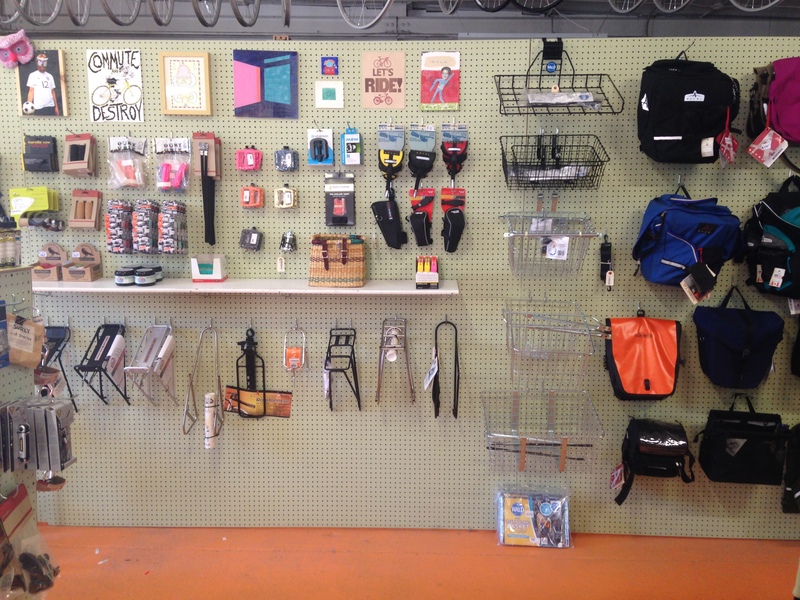 Grab a pound to GO!